Today the world will celebrate progress towards greater accountability for crimes against humanity, war crimes and genocide on World Day for International Justice! 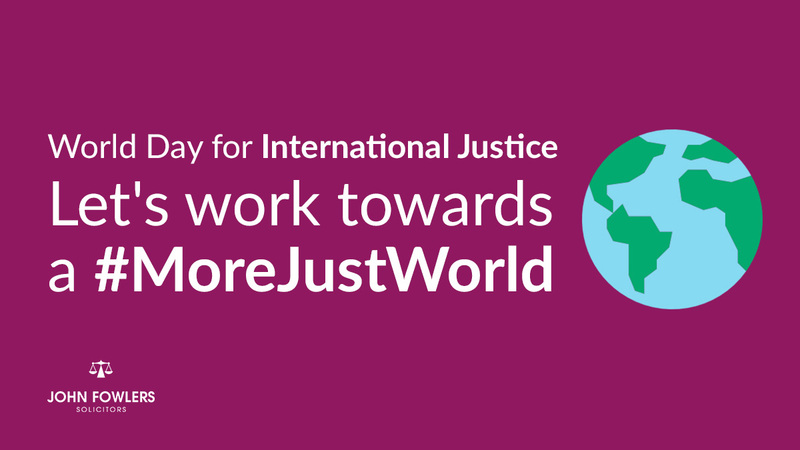 Your local Colchester Law Firm celebrates World Day for International Justice and how you can show your support. Today the world will celebrate progress towards greater accountability for crimes against humanity, war crimes and genocide on World Day for International Justice. The 17th of July marks the anniversary of the adoption of the international criminal court. Honouring the historic adoption of the Rome Statue on the 17th July 1998, International Justice Day marks the importance of continuing the battle against impunity and delivering justice for the victims of crimes against humanity, war crimes and genocide. The Rome Statute established four core crimes: genocide, crimes against humanity, war crimes and the crime of aggression. Remarkably, 123 countries are International Criminal Court members. The day is a reminder of the importance for each state that's committed to justice around the world to guarantee continued support for the international justice system. Unfortunately, there is uneven global access to justice for war crimes, crimes against humanity and genocide, with many countries not adopting the criminal system. Ultimately, to have 100% of humanity protected by the rule of law is the goal. Share any resources or articles you view online about International Justice Day. Today it's important to demonstrate a continued commitment to establishing accountability for crimes that threaten the peace, security, and well-being of the world. We need to continue with day-to-day cooperation with the Court to ensure its success in delivering justice. If you have any questions you would like to ask, feel free to get in touch with the team!